Simple blog to cover rpgmaker game BoneHead progress. Small update. Finished rebuilding the lost assets a couple days go back to making progress again. 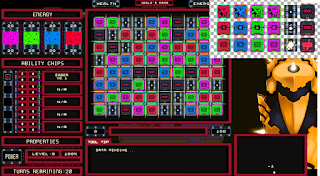 I'm actually just making a couple couple more pixel odds and ends for the nurses room while I work on the event for that. 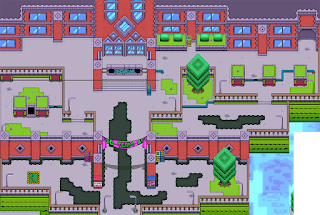 Better version of the school entrance map. I actually finished this last Monday then my harddrive fried and i've been been slowly putting everything back together. Didn't lose much thankfully since almost everything was on the external harddrive I got when my old one starting futzing out a couple months ago. 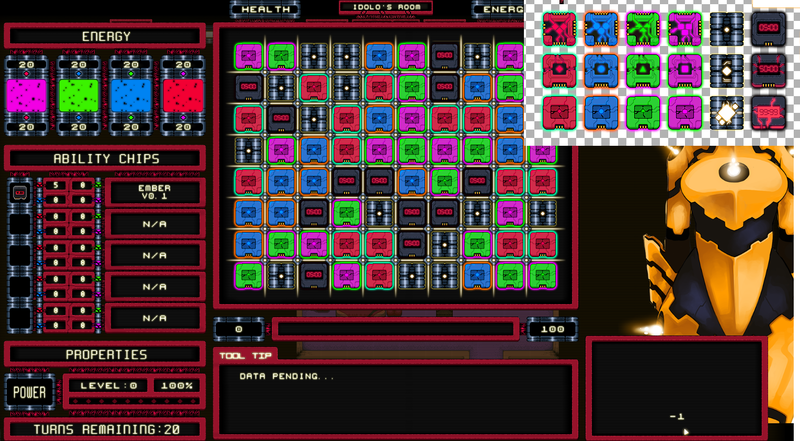 Been fixing up the graphics for the match 3 minigame. Connecting it to the database as well as the event system. Not quite done but it's looking a lot better. running a lot better too. Hey everyone. been a busy, expensive week. Apart from the Christmas shopping and what-not I also had to grab a new monitor since mine was freaking out, and a new hard drive cuz mine was giving up. everyone is backed up and nothing was lost fortunately. But most of that was taken care of earlier during the week. The reason there was no stream this week was because I was working on this. The interaction hud (three images on the left)which is mostly complete (Possible to open multiple huds at once when clicking on stacked objects) and the costume change menu which is completely complete. now the next thing to do it hook up the match 3 game to the database but while doing that I found some errors... surprise surprise. I don't think I'm gonna have the proof of concept done by Christmas or new years ladies and gents. But I'll keep at it and keep you guys posted. stream at 2pm, here's some alternate outfits sprites for the mc that I've been working on. Another stream saturday at 2pm. Cheers.